Basic or premium, we’re the apron experts. 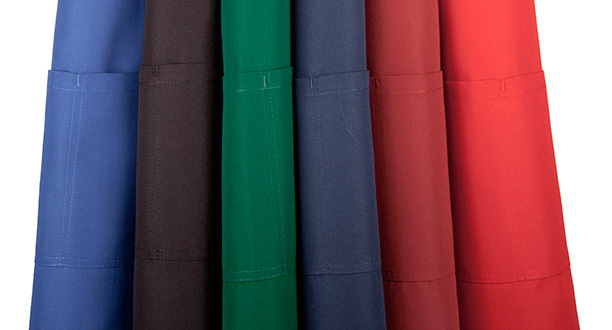 Our aprons are worn by thousands of people from home improvement store staff to restaurant waiters around the world. Our designers can create a unique style that not only showcases your brand, but meets all your functional needs. For a simple or fashion forward spin on an old staple, look no further than Clipper.